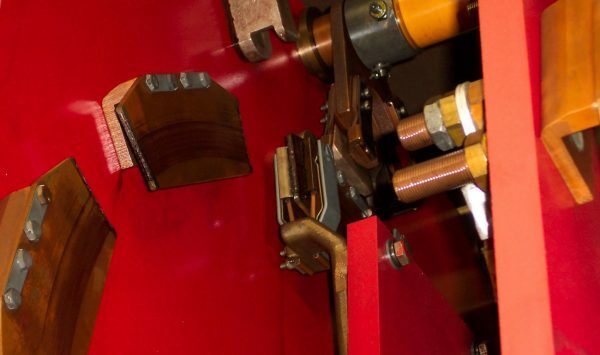 Load tap changers (LTCs) play an important role in a substation. These mechanical devices are often overlooked, but a failed LTC will cause problems at its substation and complications through the grid as load is rerouted. LTCs are often tested and maintained by the same crews that test circuit breakers. Previous attendees at our Circuit Breaker Seminar asked for more education focused on LTCs. This is why we’re blogging about this topic and also why we had added a half-day, LTC session to the Circuit Breaker Seminar agenda. Below we’ll take a look at the role LTCs and other assets play, how they work together, and the ramifications of improper testing and maintenance. Substations perform a number of functions in an electrical power grid: connecting transmission lines and generators and loads to each other; transforming the power from one voltage to another: isolating faulted or overloaded lines or equipment; controlling the power system voltage and power flow. We use large and complex mechanical devices to perform these functions. In order to keep these devices operating correctly, they need to be inspected, tested and maintained by knowledgeable technicians. Circuit breakers are the devices that connect and disconnect power lines, transformers, etc. in the power system. They also isolate faulted lines or equipment from the power system. These two functions may require the circuit breaker to make and break currents ranging from a few amps to tens of thousands of amps while operating at potential levels ranging from thousands of volts to hundreds of thousands of volts. When the circuit breaker is closed it is required to carry up to its rated current – in some cases as high as four thousand amps. Transformers are the devices that transform the voltages from higher voltages to lower voltages or lower voltages to higher voltages. 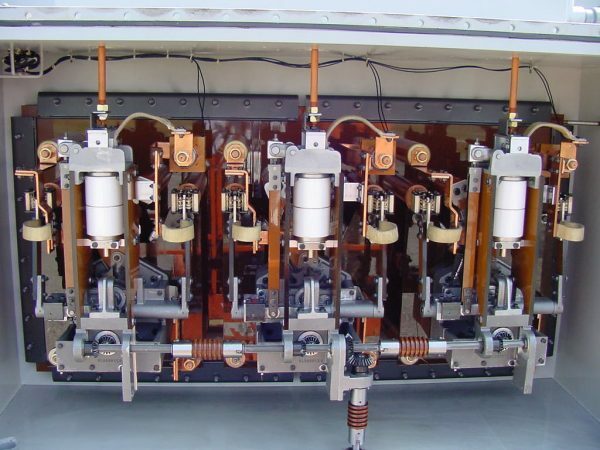 This is accomplished through the design of the coils (windings) in the transformer and is a function of the turns ratio – the number of turns in one winding relative to the number of turns in another. When supplying power to a customer load, the transformer output must be kept at a relatively constant voltage regardless of the changing current required by the load. This is accomplished by installing a load tap changer onto the transformer. The LTC actually changes the transformer turns ratio by moving among a number of access points or “taps” on one of the two windings, thus either raising or lowering the voltage supplied to the customer. In some aspects, an LTC is similar to a circuit breaker—it makes and breaks load current while operating at high voltage. It is required to carry the current that is being supplied by the transformer to the load. One of the main differences between an LTC and a circuit breaker are the number of operations they are required to perform. While most circuit breakers may perform a few hundred opening and closing operations in 20 years, an LTC may be required to operate (change taps) a few hundred times per week. Circuit breakers and LTCs are mechanical devices and have numerous moving parts that will wear over time due to movement and the amount of current they interrupt. LTCs are required to move more often than circuit breakers and, overall, may interrupt more current over time. Here’s an example: a breaker can operate once a year and interrupt 5,000 amps. If an LTC operates 50 times or more per week, interrupting 100 amps on each operation, that’s 5,000 amps interrupted per week. This repeated use means LTCs require careful attention through inspection, testing, and refurbishing. If an LTC fails, the entire transformer will be out of service. This outage will have an adverse effect on numerous distribution circuits and an adverse effect on the remaining power grid due to the need to reroute the load to supply the affected circuits. There are potentially hundreds of LTC designs currently in operating substations. The most efficient and effective method to keep them working properly is for technicians to have a general understanding of how they operate, how to test them, and how to maintain them. With that foundational knowledge, it is much easier to understand and adjust for the differences in designs of various LTCs. Please join us at the next Circuit Breaker Seminar.